This beer was a great Summer beer. 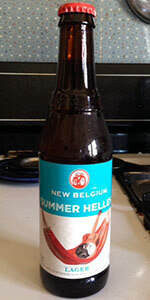 It is another one by New Belgium. This brewery must be raking in the money with all the great beers that they have.